You don't have to travel to the North Pole to see the northern lights. Visit Finland, Iceland Canada or Norway and get the best views of the northern lights. When charged particles from the sun get trapped in the Earth’s magnetic field, the sky puts on a breathtaking light show called an aurora; also known as the Northern Lights (or Southern Lights) by those in the polar latitudes. Vibrant streams of neon paint the night sky, and for first-time spectators, the experience can be deeply profound and hard to describe. It's a beautiful and awe-inspiring testament to the wonders of this world. If you’re heading up north or planning a northern lights tour, we’ve rounded up some of the best places to see the northern lights so you can get the best experience! You can view the northern lights from the city and the countryside. 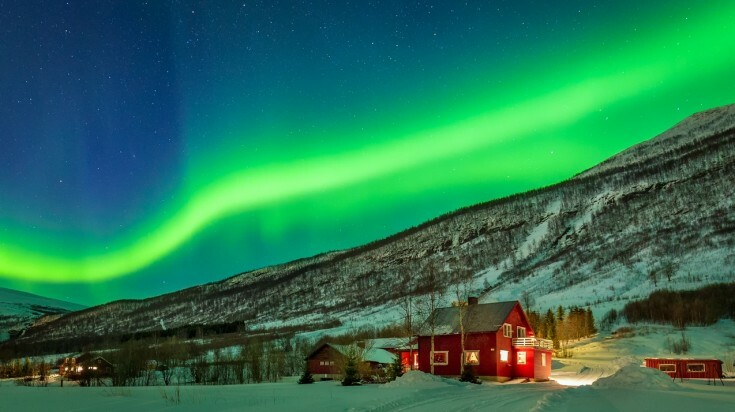 Visit Tromsø, the biggest city in northern Norway, for a prime spot to view the aurora. With its 70-degree north location, there's a strong chance you'll spot this celestial sight. If the night skies aren’t in your favor, there are a bunch of local restaurants and charming cafés to keep you warm and full. The surrounding geography, with its fjords, mountains, and islands, is a sight in its own right too. Buksnesfjord in Norway’s Arctic Circle also offers a great location to view the northern lights with its diverse geography, low light pollution and mild winters. 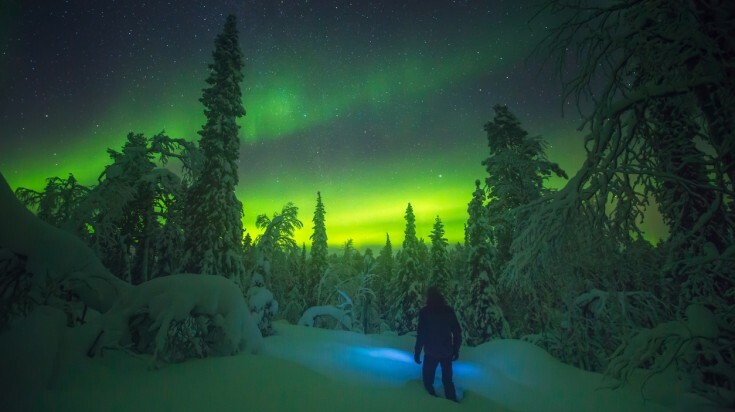 Kuusamo in Finland is a great place for northern lights hunting. 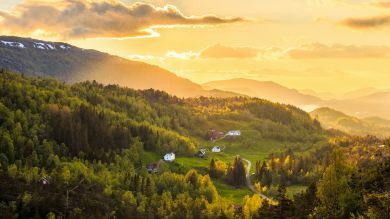 Finland’s towering forests, picturesque lakes, and magical winters offer a fantastic backdrop to view the aurora. Most tourists will head to Finland's Northern Lapland for the best trips to see the northern lights. 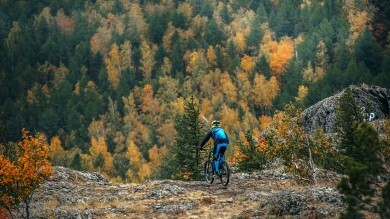 Rovaniemi, dubbed "the official hometown of Santa Claus”, is a popular choice for adventurers looking to engage in other activities like skiing, husky tours, and farm visits. Harriniva in Muonio, situated right under the aurora oval, is popular for having auroras every second night on average. 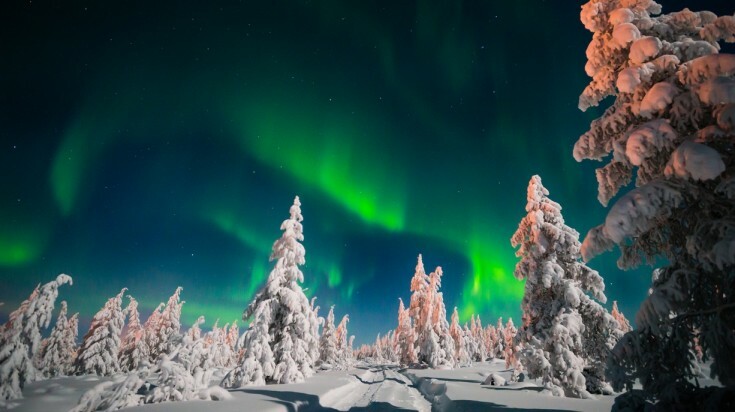 Kuusamo in the northern Ostrobothnia region is a great place to go aurora-hunting by snowshoe, dog sled or snowmobile. 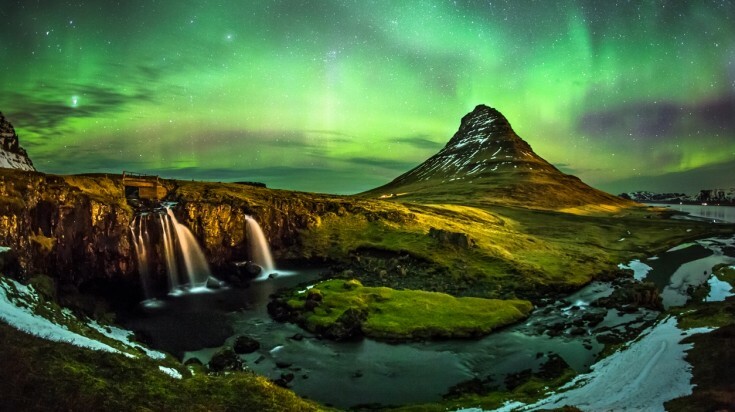 The northern lights are visible from anywhere in Iceland. Ice-covered volcanoes, mud pots and gushing geysers make Iceland an extraordinary adventure destination, but when it comes to aurora-hunting, this country gives you front-row seats. During the clear and crisp nights of winter, the skies of Reykjavik light up with blazing streams of purple, pink and green. Take a stroll along the North Shore when the night is pitch black and more often than not, you’ll be treated to an aurora exhibition. Visit Jökulsárlón, dubbed “the crown jewel of Iceland”, for its world-renowned glacial lagoon and marvel at geothermal wonders while being entertained by the vibrant light show above. Head out to Healy, book a cabin and enjoy the celestial show in Alaska. The lush Alaskan wilderness is the stuff of songs, poems, and novels. This comes as no surprise, as the 49th state offers you the best of nature — raw, pure, and often unexpected. Gigantic bears dredging up salmon, grey wolves loitering in packs, musk oxen roaming the tundra for something to graze on, and of course, marvellous auroras — are all regular sights in Alaska. Head for a tour in Healy in the dead of winter and book a wooden cabin tucked away in a secluded forest. If the weather permits and the moon cooperates, you’re bound to chance upon some of the most spectacular auroras in Alaska! 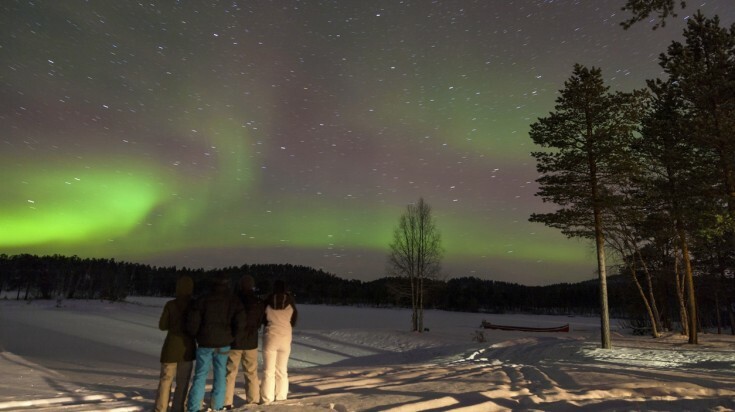 Swedish Lapland offers spectacular northern light displays from late August to early April. When it comes to aesthetics, it’s hard to top Sweden. World-class architecture, locals dressed to the nines, enviable natural wonders — this country knows exactly how to look good. At night when the elements cooperate, even the skies offer their share of beauty to anyone who’s lucky enough to spectate! Head to Sweden’s northern reaches for the best chances to see the northern lights. From Jokkmokk all the way to the northern border with Norway is generally considered the best area of Sweden for aurora hunting. Visit Lulea, located in the Swedish Lapland, that offers spectacular northern light displays from late August to early April. Northern Canada is a good option for spotting the northern lights. For anyone hoping to spot northern lights, Canada offers the most accessible option. Viewing auroras amidst a breathtaking backdrop of gorgeous glaciers and sky-high mountains is truly an experience that’s one for the books. If you’re asking where you can see the northern lights in Canada, head to Churchill, Manitoba, and spy on polar bears while watching the skies dance. This city sits under the auroral zone and is said to display northern lights more than 300 nights in a year. 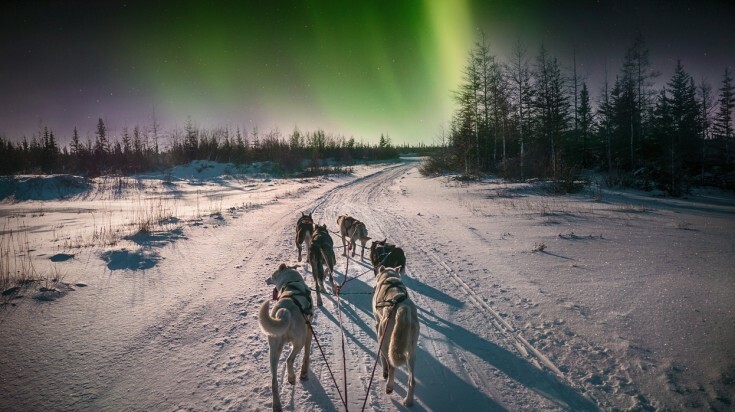 Or trek to any of northern Saskatchewan's 11 provincial parks where the skies are clear and light pollution is low to enjoy the aurora action up above. 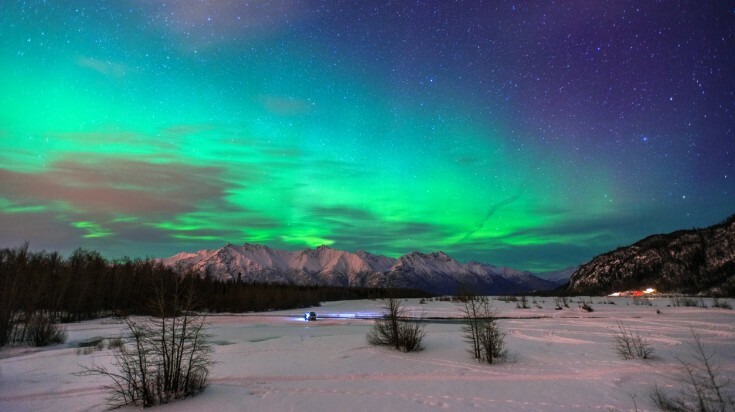 There are a plethora of other places in Canada too where you can enjoy this celestial performance — from a dock on Ontario's Moose River or while taking a dip in the Takhini Hotsprings in Yukon. The options are endless! Since most northern lights are witnessed on high-latitudes, this means that darkness is absent from mid-April to mid-August, even in locations as far north as Svalbard. During this period, you’ll be hard-pressed to see an aurora. In the best places to see the northern lights such as Yukon, Alaska, Northern Scandinavia, and Iceland, the spectacle can be observed from late August to mid-April. Sunlight ceases after 18:00 from late September to late March, to the delight of aurora hunters. Every year, the chances of sighting an aurora peak during March and September due to the equinox. Between 18:00 and 4:00 is generally the best time to see the northern lights. In this time window, 22:00 – 21:00 offers the best probability. There are, however, a few exceptions. During Polar nights, auroras may be visible as early as 16:00 and throughout the entire night. In periods of intense activity, you can expect to see flares from 18:00 until 1:00, peaking at 22:00. Auroras are dependent on sunspot activity and other changes of the sun. This means that the more restless the sun is, the more flares you’ll see. The sun has an 11-year cycle in sunspot activity that greatly affects the chances of seeing an aurora. The sun has just finished its last peak, often dubbed the “solar maximum” in 2014, so you’ll be enjoying intense auroras three or four years after that. Come 2020 or 2021, aurora activity will take a deep dive with fewer chances of spotting one anywhere on earth. The northern lights can be seen best between mid-August to mid-April. Northern Lights Tours are built around giving you the best aurora viewing experience, but they’re far more than just about sightseeing auroras. 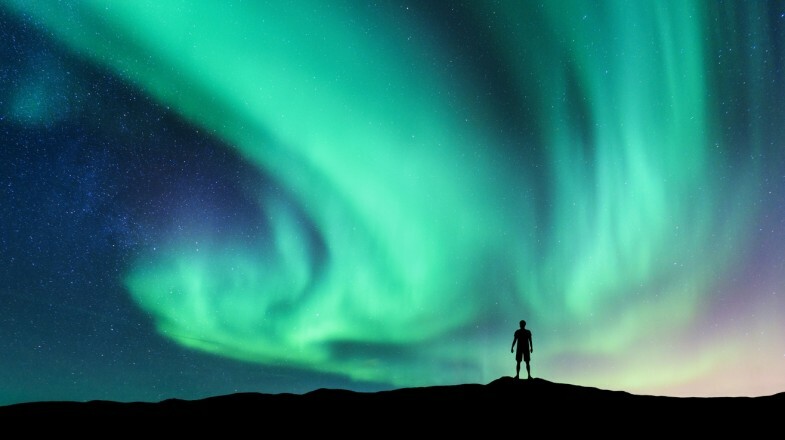 The best northern lights tours will take you through adventures all throughout your chosen destination so you can get a taste of local culture, enjoy natural wonders, and visit important landmarks. Be wary of tour operators that guarantee you’ll be seeing the northern lights. There’s absolutely no way to ascertain you’ll be seeing one, however, you can increase your chances by being at the right place at the right time. There are a handful of services online that claim to automatically send you real-time text alerts, push notifications, or browser pop-up notifications whenever auroral activity is detected in your area. These are excellent services for people in locations that don’t get a lot of activity so they can immediately head out and seize the moment! It can be tricky to take a photo of the northern lights that would do it justice, mainly because taking photos in low light requires a bit of technical know-how. You might take a decent photo or two with your mobile camera, but pros know that a DSLR does the best job. First, a tripod and cable release is necessary to capture auroras at their best. Remove all the filters off of your lenses, and set your camera on full manual mode. There is no perfect recipe for the right camera setting, but you'll get the best photos if you set your shutter speed between 15 and 30 seconds, your ISO between 800 and 3200, and your aperture between f/2.8 and f/5.6. Point, shoot, and experiment with your settings until you get the best photo! View the celestial wonders from the best places to see the northern lights and behold one of the earth’s most beautiful natural occurrences, so just take it all in and don’t forget to snap a photo! And remember that aurora sightings are just one of the many events that make these places amazing.